Even though you can’t stop aging, there’s many ways you can combat the aging process and slow it down. From an anti aging diet, to wrinkle removing techniques, to anti-aging face exercises, there’s a whole new world of anti wrinkle products like Stemuderm and processes out within your reach. One of the fundamental habits to good health is a well balanced diet. The benefits of a healthy diet doesn’t just end there — in fact, good nutrition is absolutely vital to reduce wrinkles for younger looking skin. You probably already know the basics to a healthy diet: eat lots of fruits and vegetables, whole grains, dairies, and protein. But some healthy foods actually have more benefits than others! Take advantage of these foods for aging skin to maximize the nutrients essential to youthful skin. Here are 7 foods to improve wrinkles. It might sound too good to be true, but treating yourself to your favorite chocolate actually has health benefits. Dark chocolate is filled with flavanols, a bioactive nutrient that increases blood flow and circulation to your skin. Not only does this help your body fully absorb nutrients, but it also promotes cell growth to keep your skin looking younger and healthier. But sorry, milk chocolate doesn’t count. 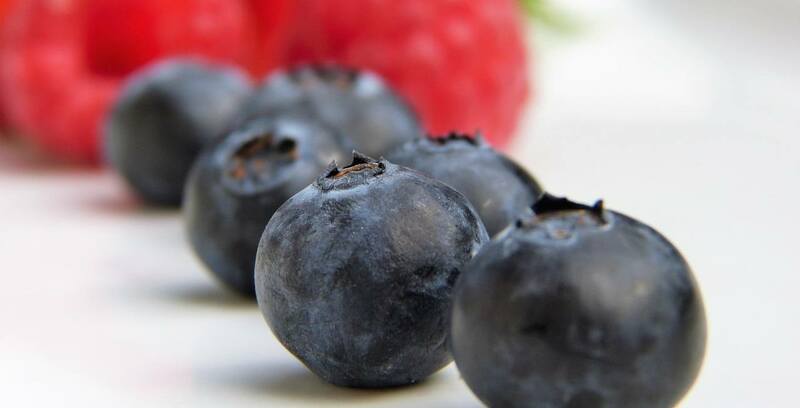 Blueberries are delicious— and jam packed with powerful antioxidants! These antioxidants keep your cells healthy and protect your skin against damaging free radicals from sun exposure and pollution. They also have vitamins C and E, which provides nutrients that will improve your overall health. 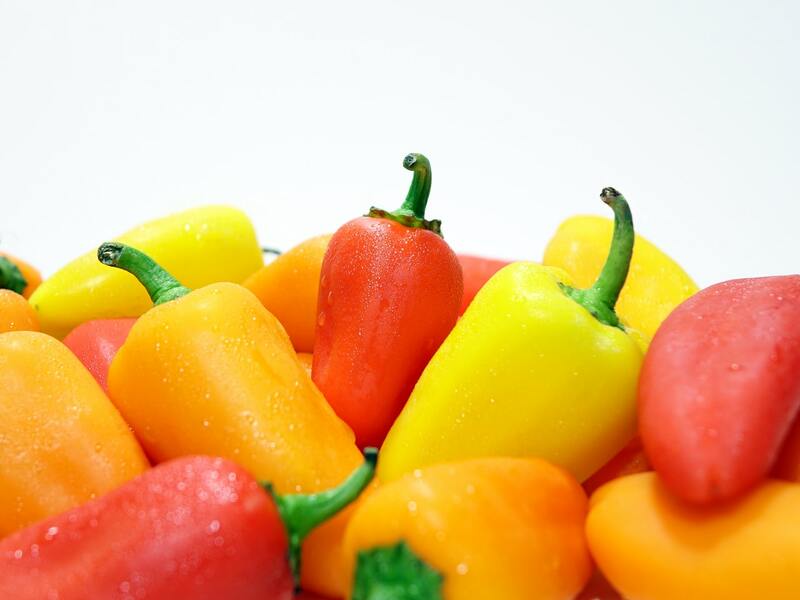 Bell peppers taste great in many dishes, but what you don’t know is that raw bell peppers are absolutely filled with vitamin C and other powerful antioxidants. In fact, studies find that an average red bell pepper has 127.7 mg of vitamin C.
But why exactly is vitamin C so important? Vitamin C helps your body heal wounds, maintain your immune system, metabolize protein, and most importantly, it’s a powerful antioxidant: it helps prevents your eyesight from worsening with age (macular degeneration). 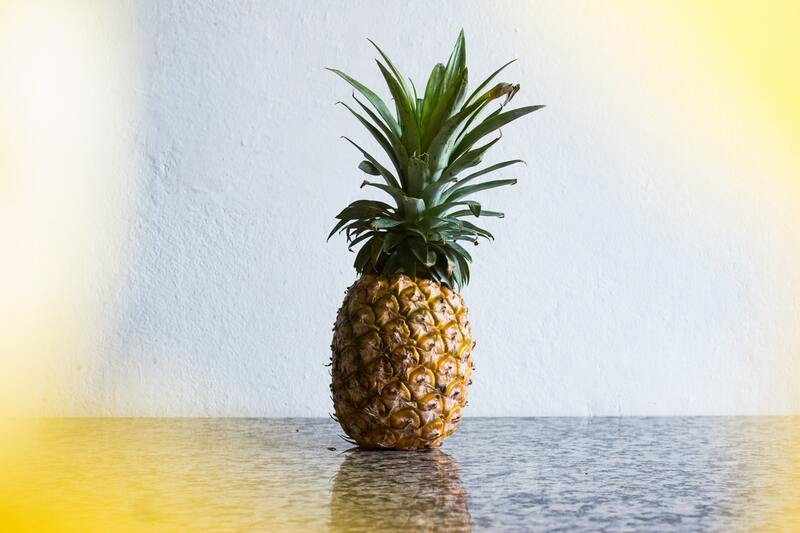 Pineapples might bring you back to that vacation in Hawaii, but their benefits don’t just end there. Rich in manganese, pineapples help your body activate an enzyme that provides proline, an amino acid crucial for making collagen. Collagen is the protein that keeps your skin firm and elastic. As we age, our bodies produce less and less collagen. So be sure to have a few extra slices of your favorite tropical fruit today to fight off wrinkles and fine lines. Turmeric is the age-old medicine cabinet secret. In the West, we say “an apple a day, keeps the doctor away,” but in the East they say, “a spoonful of turmeric a day, keeps the doctor away.” This famous root is known for its vibrant orange color, which comes from the powerful pigment in it: curcumin. See, scientists believe that telomere shortening causes cell aging, as well as aging and degenerative related diseases. Telomeres are the end caps of our DNA. 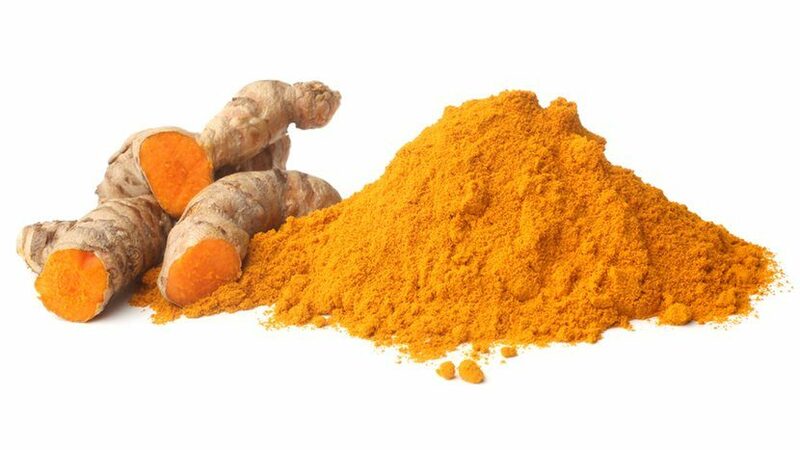 Curcumin is known to fight cell damage and aging by preventing telomeres from shortening. This Eastern secret has vast benefits to your skin cells as well as your overall health, and as an added bonus, it’s a great way to flavor your curry, the next time you cook. This Oriental favorite not only smells great, but is filled with powerful antioxidants that provide countless health and skincare benefits. 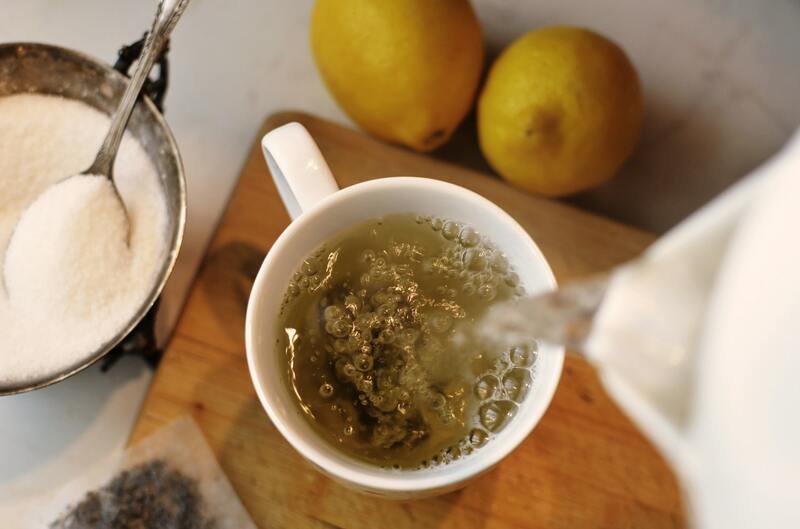 Green tea is a fantastic way to maintain healthy skin cells, but it doesn’t just end there. It contains flavonoids, an antioxidant that protects against disease and DNA damage from toxic chemicals. Green tea also contains theanine, an essential amino acid to decrease stress and keep your body calm and focused, so you can stay healthy and happy. 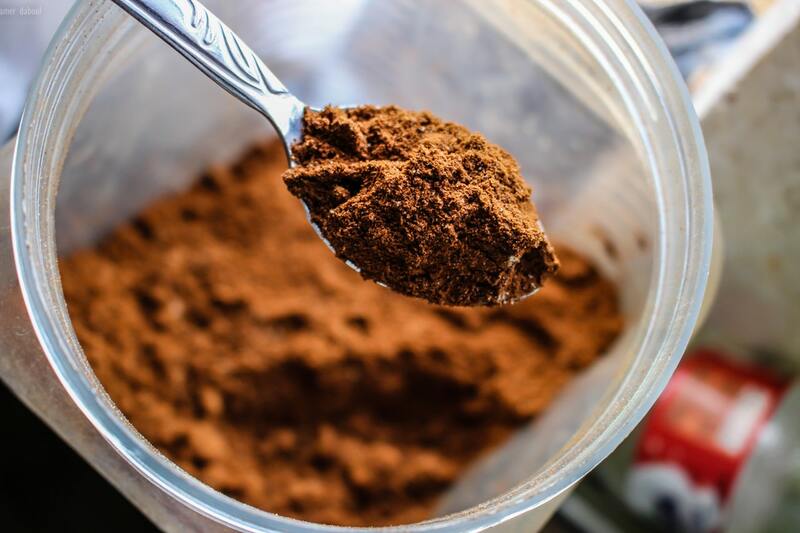 Another crucial nutrient it contains is tannins, an astringent that shrinks blood vessels. Combined with vitamin K, it’s a great way to reduce swelling and puffiness, and lighten dark circles so you can treat puffy eyes and fight off dark circles. You’ve probably heard it before, but we’ll say it again: nuts, nuts nuts! And for good reason too. From cashews and almonds, to walnuts, pistachios, and macadamia nuts, there’s endless scientific studies that show health benefits to people who regularly eat nuts. 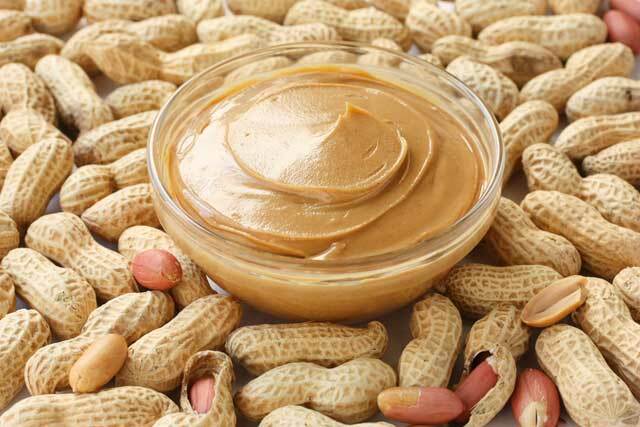 If you think back to biology class, you’ll remember that nuts are rich in unsaturated fats. These are the good kind of fats: healthy fats that lower your cholesterol and provide anti-inflammatory effects. And of course, nuts are highly concentrated in vitamins, minerals, protein, fiber, antioxidants, and micronutrients— they’ll keep your skin glowing, help new skin cells regenerate, and protect your skin from damage. So the next time you head to the grocery stores, be sure to stock up. So as you can see, it’s not that hard to remove wrinkles. It’s as simple as eating a few more foods daily, so be sure to incorporate some of these into your diet to help you live longer, and look better. What is the Cause of Female Hair Loss?